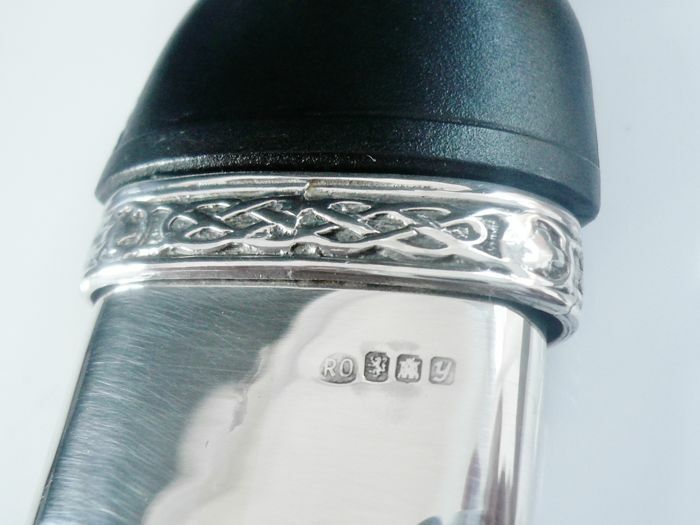 A Scottish sterling silver mounted Sgian Dubh, hallmarked from Edinburgh in 1998 with the makers mark being that of Robert Hendry Goodenough Ogilvie. 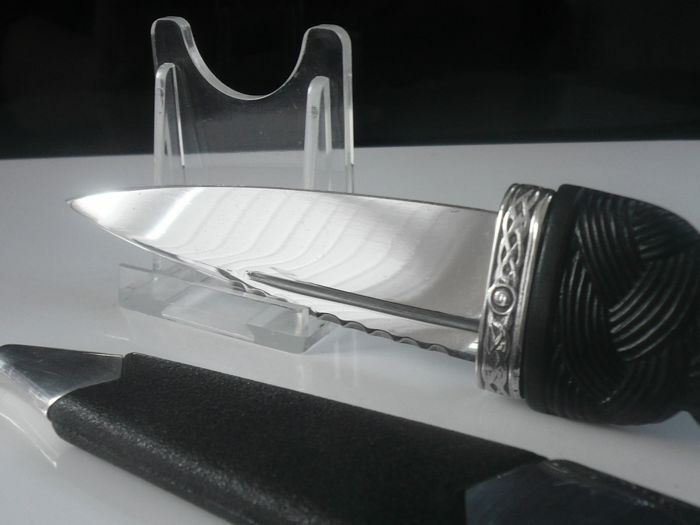 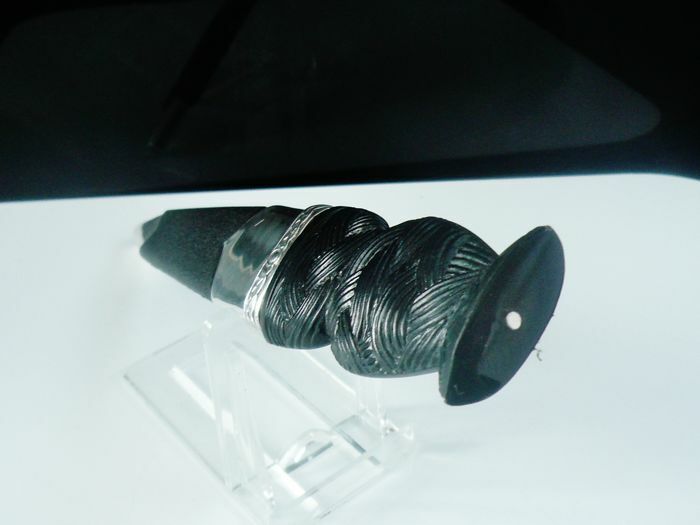 The sgian-dubh (/ˌskiːən ˈduː/ skee-ən-DOO; Scottish Gaelic pronunciation: [s̪kʲənˈt̪u]) is a small, single-edged knife (Scottish Gaelic: sgian) worn as part of traditional Scottish Highland dress along with the kilt. 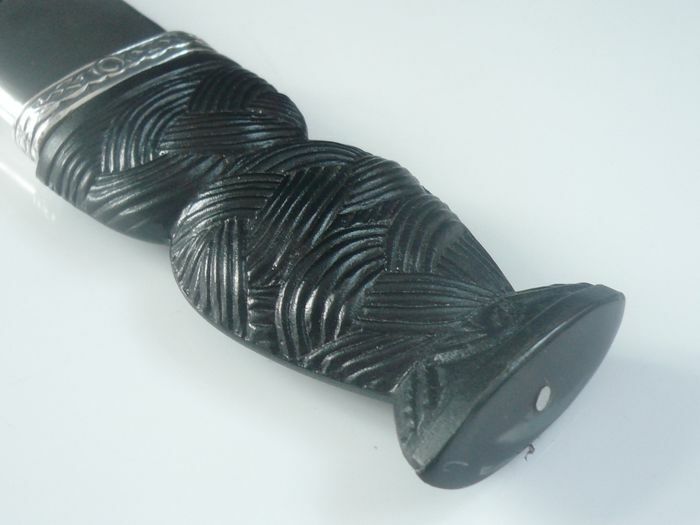 Originally used for eating and preparing fruit, meat, and cutting bread and cheese, as well as serving for other more general day-to-day uses such as cutting material and protection, it is now worn as part of traditional Scottish dress tucked into the top of the kilt hose with only the upper portion of the hilt visible. 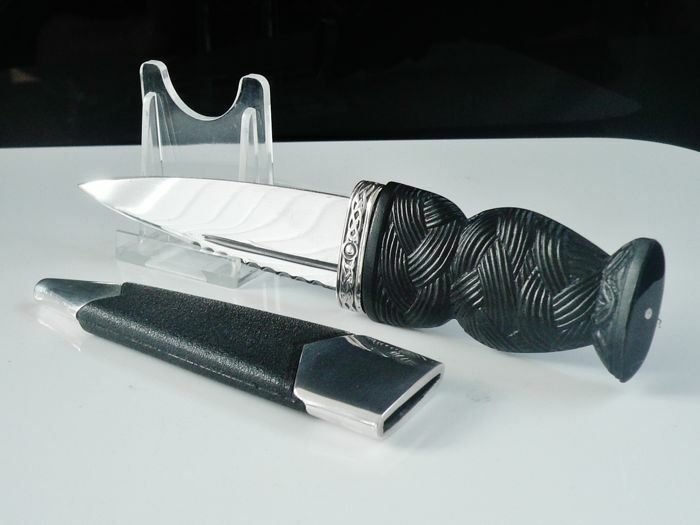 The sgian-dubh is normally worn on the same side as the dominant hand.